Graduated, since 1978, at the Conservatory of Musical and Dramatic Arts “Dr. Carlos de Campos” in Tatuí, SP (Brasil) at the course of classical guitar. In 2003, Edson Lopes received the title “Licentiate in Guitar Performance” by the “Trinity College London”. He was the first prize winner in every guitar competition he entered, among them the "Young Instrumentalists Competition" (sponsored by "Rede Globo de Televisão") and the "1st National Guitar Competition" (sponsored by "Banco do Brasil"). In 1979, he participated in the XXII Course of “Musica en Compostela” - Spain, where under the supervision of Andrés Segovia's assistent José Tomás, he received the “most exceptional student” award and a full scholarship for the following year. 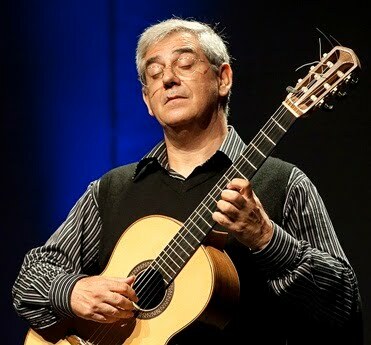 According to the guitarist Maria Luisa Anido, Edson Lopes is "an extraordinary guitarist, that surprised her for his technical reliability, instrumental domain, sonorous delicacy and his delightful interpretive technique". Edson Lopes performed throughout Brazil as a soloist, in duos, trios and with orchestra. As an integrant of the Brazilian Guitar Quartet, he performed in the cities of Houston, Dallas, Austin, Seattle, Pittsburgh, Albuquerque, Hollywood, Indianapolis, Washington DC, New York among others. In 2005 the Quartet participated in the “33rd Arts Festival” in Hong Kong, in the “VII Internacional Guitar Festival” in Monterrey, México and in 2006 in the “V International Guitar Festival” in the city of Aarhus, Dinamarca.